3″ Vinyl tape is a strong and solid tape that clearly has many benefits and can be used on many types of insulation. ← What is an LED Dusk to Dawn Light? Can this be used on wood stove pipes? 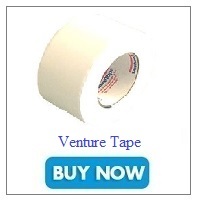 Does Venture Tape leave a residue when removed?